Dr. Dean Sophocles was born and raised in the Philadelphia suburbs, the son of a professional violinist mother and a dentist father. Some children choose to follow in the footsteps of one parent, however, Dean chose to follow in the footsteps of both parents. By day, Doctor Dean, as he is known to his patients, practices minimally invasive dentistry at Providence Dental Associates in Media, PA. Since graduating from the University of Pennsylvania School of Dental Medicine in 1987, he has studied regularly on a postgraduate level in the areas of implant dentistry, periodontics, prosthodontics, and cosmetic dentistry, with a special interest in porcelain and composite restorations. An active Penn Dental alumnus, Dean has served both as a member at large on the Executive Board of the Alumni Society (2005-2012), as well as a Clinical Assistant Professor in the Department of Preventative and Restorative Sciences (2006- 2014). Dr. Sophocles has been consistently selected by his peers as one of the top cosmetic dentists in the Western Philadelphia suburbs, as reported in Main Line Today in 2006, 2008, 2009, 2010, 2011, 2012, 2013, and 2014. He was also selected as the top dentist in cosmetic dentistry by Philadelphia Magazine for 2012 and 2014. By night, Dean has established himself as a session player, a solo jazz pianist, and an ensemble keyboardist in both the rock and jazz genres. He began studying both piano and violin at the age of five; by the age of twelve, he was traveling throughout the U.S. with a young chamber group, the Young Concerto Soloists, led by veteran Philadelphia Orchestra member Jerome Wigler. 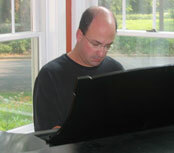 Dean studied classical and jazz piano with various well known Philadelphia-based teachers, as well as in a master class with Bruce Hornsby. Dean is currently performing with Ndichu, a funk/R&B band. He is a former member of the Doug Markley Band, Three the Hard Way, and Sonoma Sound. NBC Philadelphia recently profiled Doctor Dean for their local cable TV show. Copyright © 2005-2014 Dean F. Sophocles. All Rights Reserved.